It doesn’t have to be June for the sunlight to make a detail suddenly stand out. 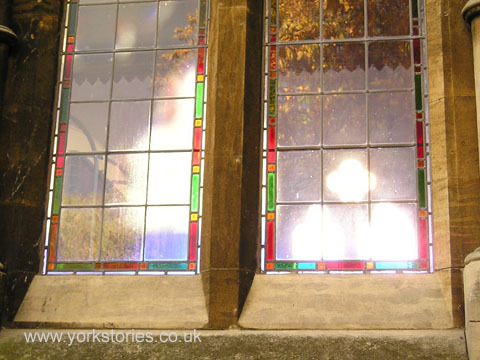 Here’s a photo from November 2004, of the same building’s windows. I wonder how many people recognise it. 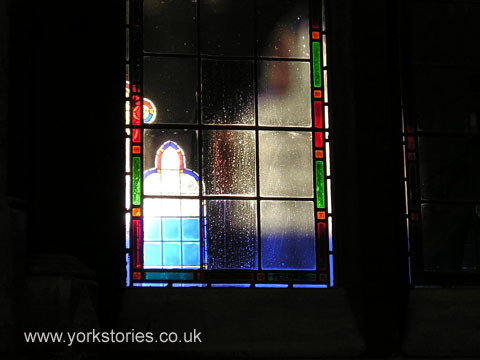 The other side, bathed in light. November afternoon light, which is softer than June afternoon light. So where are these lovely details to be found? 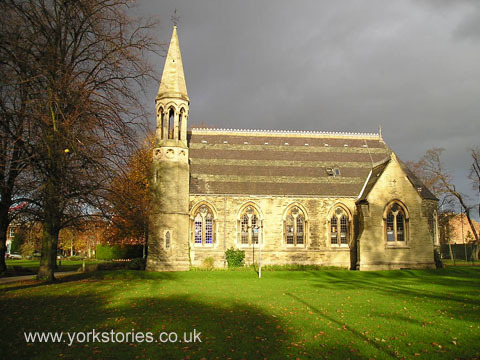 Bootham Park chapel, built in 1865 for the patients here at the ‘asylum’, as they called it then. 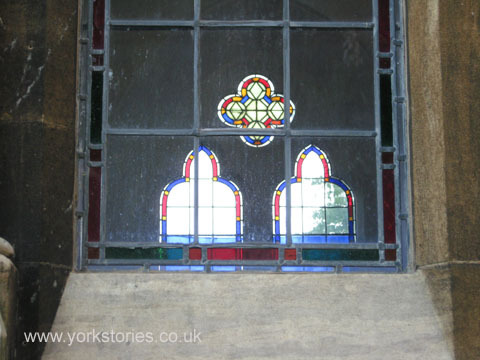 Now used as offices, but retaining the windows with their coloured glass, presumably intended, as in all churches and chapels, to lift the mind to higher thoughts above the mundane cares. Works for me.